Using sophisticated video analysis, Bike Fast Fit and Bike Fast Fit Elite provide insights into your cycling movement and body position for better cycling comfort and efficiency. Capture a video clip from the side or front to dynamically record the rider’s position in motion. This provides more realistic picture of a rider’s actual pedal strokes and body positions than sitting statically on the bike. Measure key riding position angles and distances using video analysis tools. Find the ideal riding position that's both powerful and comfortable through adjustments to seat height and position, handlebar height, and stem length. 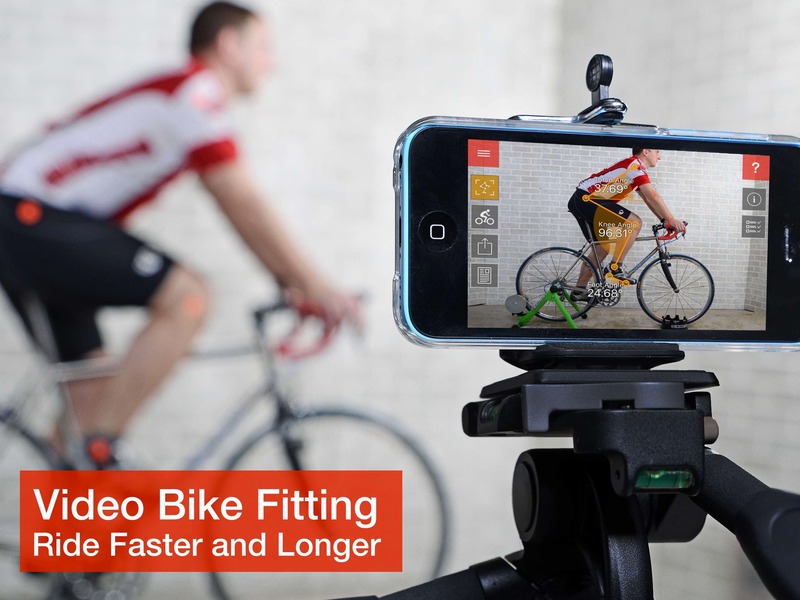 The original bike fitting app that made it quick and easy to do your own bike fitting. Designed to support the entire fitting session and offering a more sophisticated set of analysis tools. Use Bike Fast Fit to make changes to riding position and find free speed. A proper fitting bike will also improve comfort and reduce risk of injury. Create a set of measurements at key points in the pedal stroke cycle. 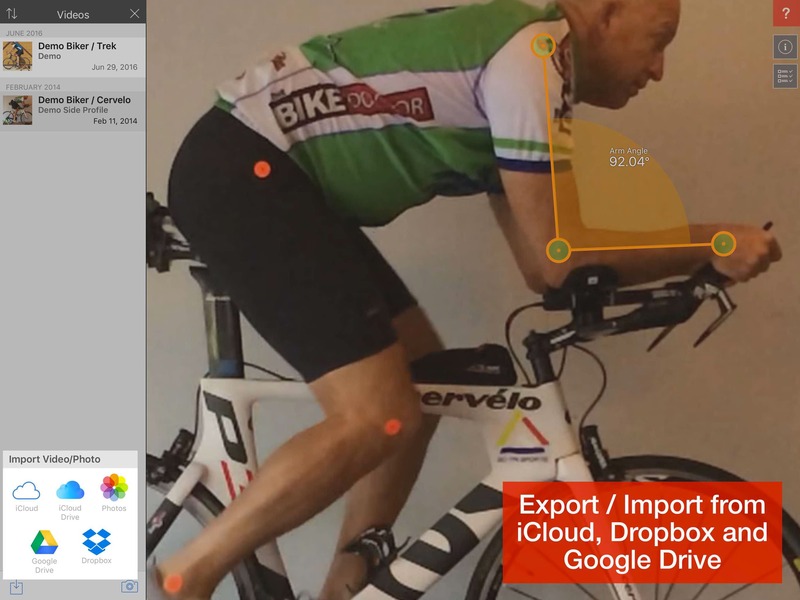 Share your bike fit measurements with friends and coaches through iCloud, Dropbox or Google Drive. 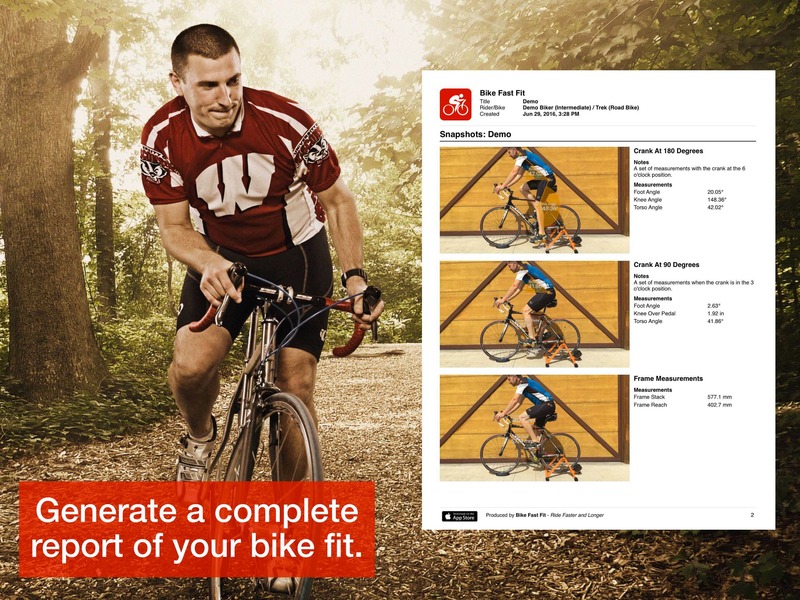 Generate a Bike Fit Report detailing the measurements you have taken and share or print. 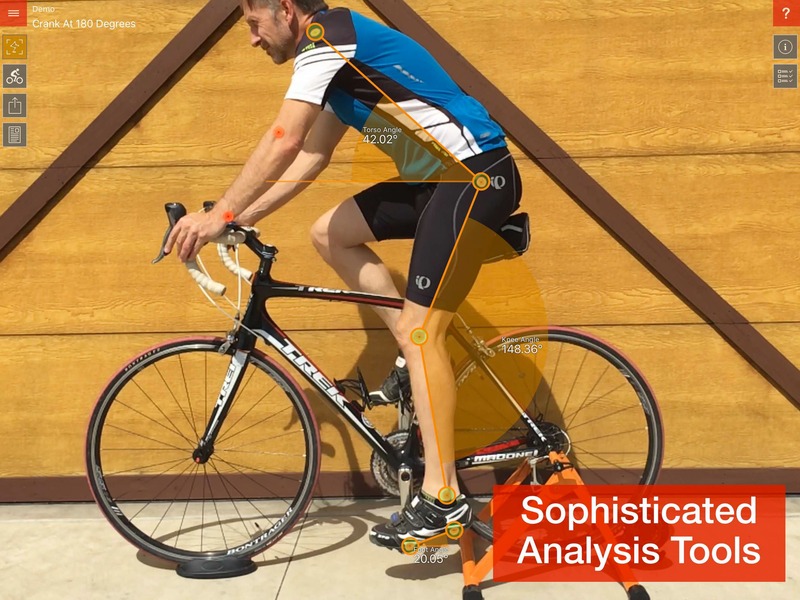 Analyze your riding position with over 25 video analysis tools for both front and side profiles. 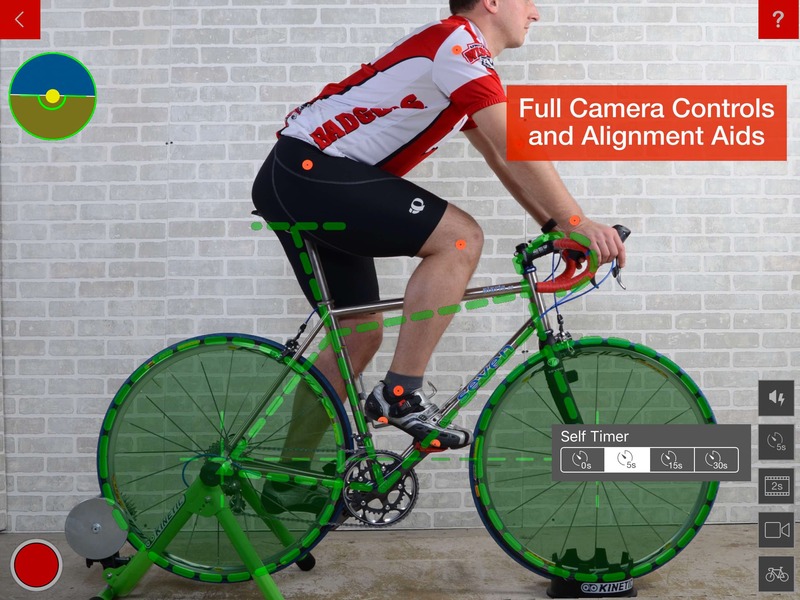 Built-in guide with information on setting up the bike and camera, finding the points on the body and measurement tools. Easily capture video clips in super slo motion with alignment aids and self timer. 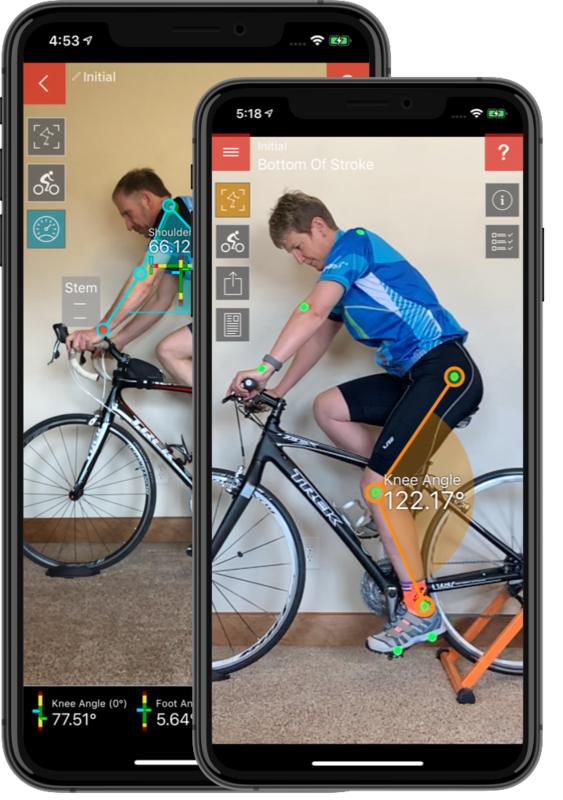 In addition to everything Bike Fast Fit does, Bike Fast Fit Elite provides greater insight into your cycling movement and body position by building a dynamic wire frame model of the rider. The riding position is compared to normal ranges for your riding level and bike type to determine changes to your saddle and stem positions. Using stickers on body joints, the app builds a body wireframe for every video frame. Use the extensive video analysis tools to examine critical fit measurements and determine problem areas. Compare the your position to normal ranges for your riding level and bike type. Generate a comprehensive report with all of the videos, measurements and recommendations from the fitting session. Explore possible changes to your saddle and stem positions to determine the bike adjustments to make. Display the path of a body joint through multiple video frames to visually trace its movement. View a graph of critical measurements, such as Knee Angle, through the entire pedal stroke. Comparison of the features of Bike Fast Fit versus Bike Fast Fit Elite.